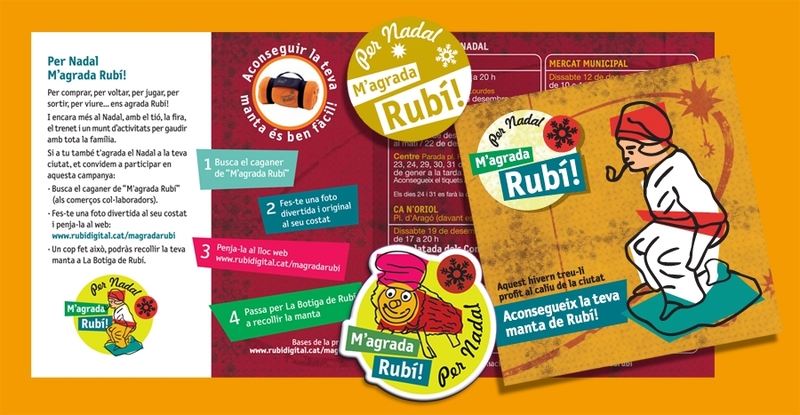 After the success of the M’agrada Rubí (I like Rubi!) summer campaign, and having seen the level of penetration and popularity of the campaign achieved in just three months, we met with the client to strategically plan the transformation of the campaign into a marketing brand in order to maximize this potential. 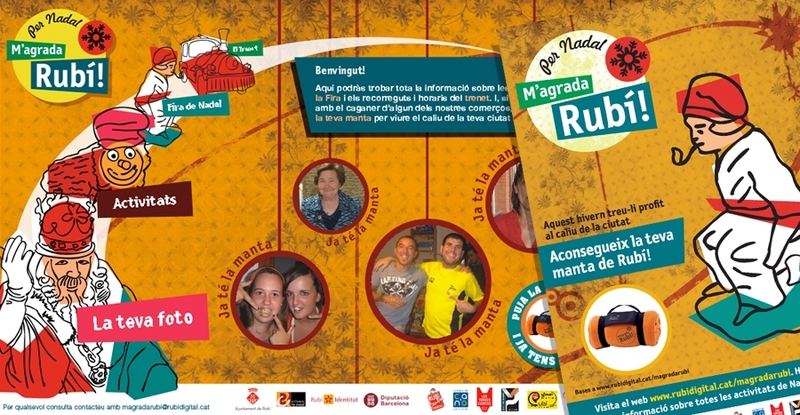 It was decided that going forward we would use the M'agrada Rubí! slogan for all campaign advertising to promote the city’s commerce. Christmas is of course a key period in the retail sector so we started working on adapting the original campaign to give it a Christmas twist in a logical and natural way: For Christmas I also like Rubí (or maybe even more!). In this way, the graphic design follows the initial concept but with indisputable and easily recognisable Christmassy elements. The advertising campaign included a web site with a program of events, information about the route of the little train that rides around the commercial areas, as well as an application to facilitate participation in the online and offline promotion. More specifically, the application allowed customers to upload photos of themselves holding the symbol of the campaign in one of the participating stores. The campaign inspired more than 500 people to go in search of the squatting Catalan (an element of traditional Catalan Christmas folklore) and get their photo taken with him in order to get a promotional gift. M'agrada Rubí! has become a much loved and recognisable brand, which emotionally connects with the residents, to the extent that they think it is their own. This brand was later used in other promotions and publicity for Rubi town council.